Robert Gwaze has been based in England since his sparkling 9-0 performance in the Bled Olympiad. Since then, his ELO rating has gradually risen from 2280 to 2376. 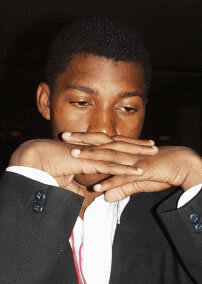 In the 2004 British Championship, Gwaze finished the tournament win five consecutive wins including a nice attacking game against English IM, Andrew Ledger. 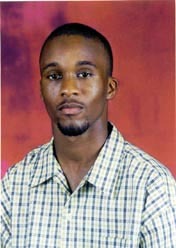 This marked the first year that non-British citizens could not participate in the tournament which means that perhaps Gwaze has taken up residency in the country. Regardless of where he is based, he will continue to play exciting chess as he always has! In the game, he batters the French with a novel approach. Ryan Harper traveled up to Canada in search of a tune-up for this year's Chess Olympiad in Mallorca-Spain. He participated in the Guelph International tournament which drew a number of Grandmasters,including 24-year old Alexander Moiseenko who just took 3rd in the strong Ukrainian Championship. Harper got more experience than he bargained for and as it is with many players, he rose to the level of his competition. Harper scored 5½-3½ for 4th-8th place and outscored five GMs missing an IM norm by 11 points. This following game was a counterattacking win against Israeli GM, Mark Tseitlin.